The curtain has gone up on the 2019 Blancpain GT Series. 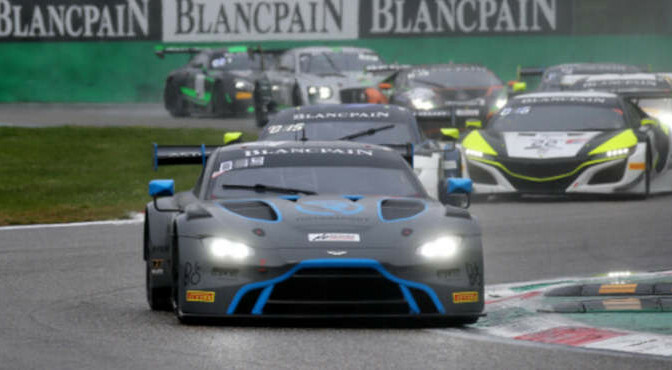 As has now become traditional, the season for one of the world’s most competitive GT racing series got underway this weekend in the Royal Park of Monza. For the first time, R-Motorsport were fielding two Aston Martin Vantage V8 GT3s. Changing weather conditions and cool temperatures made the three-hour race extremely unpredictable. The driver trio of Marvin Kirchhöfer, Jake Dennis and Nicki Thiim finished 19th. The sister car driven by Matthieu Vaxivière, Maxime Martin and Matt Parry was 37th. The number 76 Aston Martin Vantage V8 GT3 started from grid position 19. Nicki Thiim, who was standing in for regular driver Alex Lynn in the season opener of the Blancpain GT Series Endurance Cup, took the first stint. The Dane retained his position and avoided unnecessary risks under the prevailing wet conditions. It would in any case have been difficult to overtake due to the dense spray. Thiim pitted relatively early, and Dennis took over for the second stint. While the opposition switched to dry tyres, the decision was made to fit a second set of rain tyres on the number 76 Aston Martin Vantage V8 GT3. As a result, the car made immediate progress through the field, and Dennis even led the race at this stage. The weather then improved from lap to lap. At around the one-and-a-half-hour mark, a puncture forced Dennis to return to the pits. This stroke of bad luck was, however, mitigated by a full-course yellow being in place, so the team did not lose as much time as they might have done. The timing of the change to slicks turned out to be unfortunate, though, as a few minutes later it started to rain again. Marvin Kirchhöfer took over for the final stint. The track proceeded to dry out quickly in the last hour. A drive-through penalty then deprived the trio of a top placement. After three hours, the German crossed the finish line in 19th overall. Matthieu Vaxivière, Matt Parry and Maxime Martin in the other Aston Martin Vantage V8 GT3 experienced a disappointing outcome to their weekend. Having booked P11 on the grid in qualifying, the trio looked to be well set up for the three-hour race. Vaxivière, who took the first stint in the number 62 car, maintained his starting position for a long period. But because of the rainy conditions, the Frenchman was unable to make any progress either. The driver change came on Lap 24. Parry took the wheel, and the team opted for the same strategy as the sister car, sending him out on a fresh set of wets. However, things did not go smoothly for the Brit: when he pitted to hand over to Martin for the final stint, the R-Motorsport box was blocked by another car. As a result, the team lost a lot of valuable time, and Martin was unable to finish any higher than 37th. 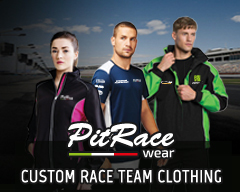 Next up is the sprint race at Brands Hatch (4th/5th May), the very first race that the Swiss outfit will contest in the framework of the Blancpain GT World Challenge Europe.